Every year thousands of bookworms gather on the National Mall to celebrate books, poetry, and literature at the National Book Festival. This event offers festival-goers the opportunity to listen to their favorite authors, get books signed, have photos taken with PBS storybook characters and participate in a variety of learning activities. Popular illustrators, storytellers and poets also attend the event. 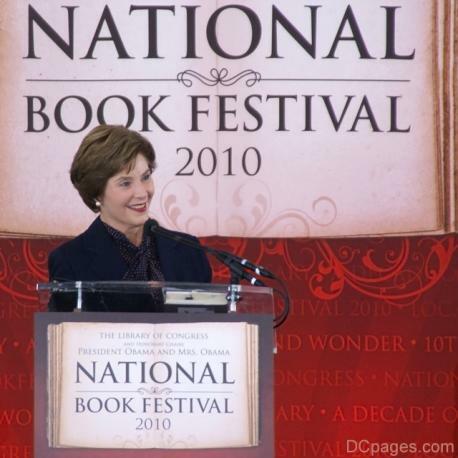 The National Book Festival was started in 1995 by former first lady of America, Laura Bush as she has a passion for book reading. The National Book Festival is an annual event that is free and open to the public. No tickets are required. The 2011 National Book Festival is now a two-day event and will be held September 24-25 on the National Mall. In a welcome relief from this year's blistering heat, Friday night's preseason opening game against the Buffalo Bills was relatively cool and mild and had the Redskins stampeding over the Bills 42-17. Speaking of cool, the 2010-2011 Redskins have a new coach in Michael Shanahan and a new starting QB in Donovan McNabb; McNabb threw a four-yard touchdown pass to Anthony Armstrong to open the Redskins’ multiple scoring drives. Rex Grossman hurled a pair of touchdown passes, including a forty-four-yard bomb to Devin Thomas to widen the Redskins lead further, and continued scoring almost at will against the seemingly hapless Bills until the scoreboard lights at FedEx Field revealed the outcome of the decisive victory at Redskins 42, Bills 17. 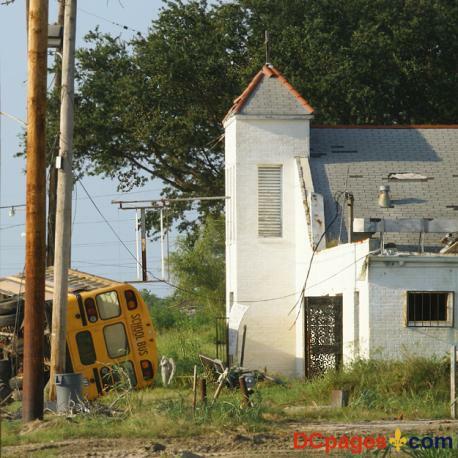 Hurricane Katrina was one of this nation's worst natural disasters. In the past two years our federal government has provided more than $114 billion in aid. But, the relief and recovery of the area where the eye of the storm passed has been suprisingly dismal. While the French Quarter and huge sections of Uptown and the Garden District came back to life, the story is altogether different in the low income neighborhoods to the east, along Interstate 10. They are empty, quiet, and stuck in the same place when the water receded two years ago. Residents have no power, no water, and are living in toxic ruins. But there is hope for New Orleans. 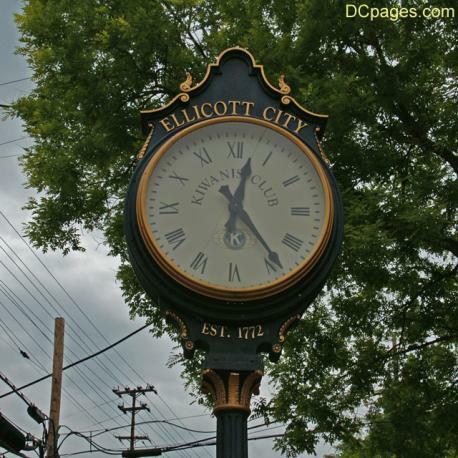 Thousands of volunteers are coming from accross the United States to restore this beloved city. A 1940s project to get young people involved in agriculture and homemaking skills turned into one of the largest county fairs on the East Coast -- and it was started by kids. 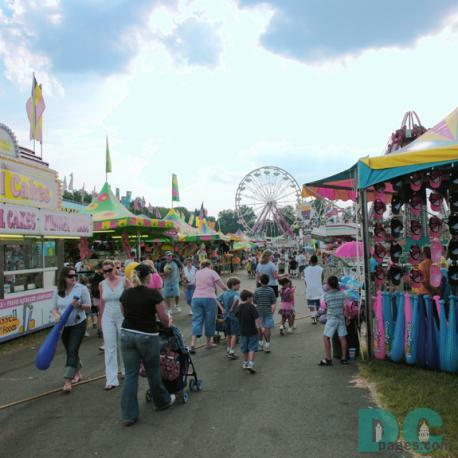 The first Montgomery County Agricultural Fair began as a one-day livestock show in 1949, sponsored by the county's 4-H Club, an organization for young people interested in farming. 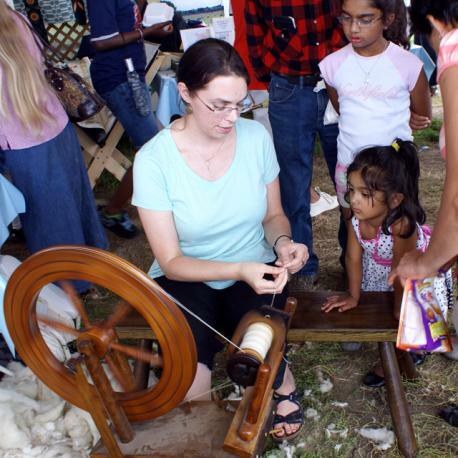 The fair was a way for farmers to show their best farm animals to each other and to get youth excited about farming, gardening, and homemaking skills such as preserving foods. Over the years, the fair has become a way to get a peek into farm life, as fewer people are involved in farming. 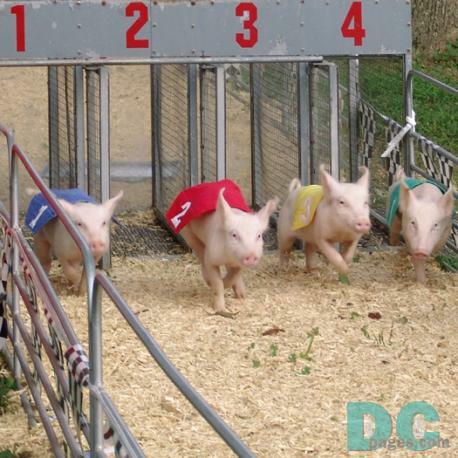 The Prince William County Fair is Virginia's largest County Fair. It began in 1949. The average attendance over the past 10 years is over 93,000. The fair has livestock, commercial exhibits, a midway, a Civil War encampment, circus and magic shows, truck and tractor pulls, a rodeo, demolition derbies, baby contests, pet shows and darn tasty food. The gates to the fair will open at 3 p.m. each day during the week and at noon Saturdays and Sunday. The daily admission price is $7 for ages 7-59; $5 for ages 3-6 and 60 and over and two and under free. 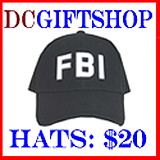 Active duty military personnel are free. 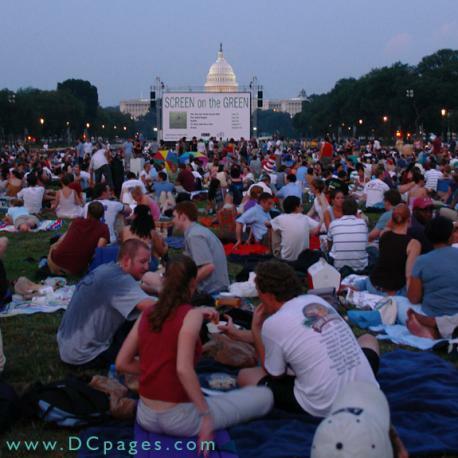 What better way to spend a sultry summer evening than watching classic movies with friends and family under the stars of our National Mall? Screen on the Green is becoming as classic as its weekly films broadcasted on a gigantic movie screen. Movies play on except in extreme weather, and there aren't make-up dates for cancelled flicks. For the best experience, take a blanket or something to sit on, insect spray just in case it is a buggy night, non-alcoholic beverages and a picnic or snacks. Things to leave behind include alcohol, tall chairs, cigarettes and balloons. Right in the District's backyard is our country's only privately run national park. 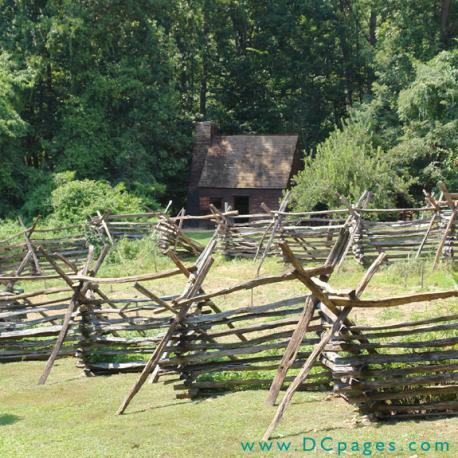 The mission of Turkey Run is to recreate the life of 1771 tenant farmers. The vast majority of Virginians in 1771 were tenant farmers, who lived by growing tobacco to pay their rent, and growing food to eat. The Claude Moore Colonial Farm property is approximately twelve acres planted with corn, tobacco, wheat, flax, rye, barley, a kitchen garden and an orchard. The fields are tilled, planted and cultivated by hand, applying basic principles of hoe agriculture. Staff and volunteers dressed in reproduction period clothes, work the farm, and answer your questions about the farm, livestock, and family, as if you were actually an 18th century visitor. This year’s Smithsonian Folklife Festival Themes include; GIVING VOICE: The Power of Words in African American Culture, WALES-SMITHSONIAN-CYMRU, and LAS AMERICAS: Un Mundo Musical (THE AMERICAS: A Musical World). Giving Voice will present the deep, rich threads of the African American oral tradition. Through the power of words, African Americans have given voice to the needs, hopes, aspirations, and dreams of a people whose traditions are a major force in American culture. 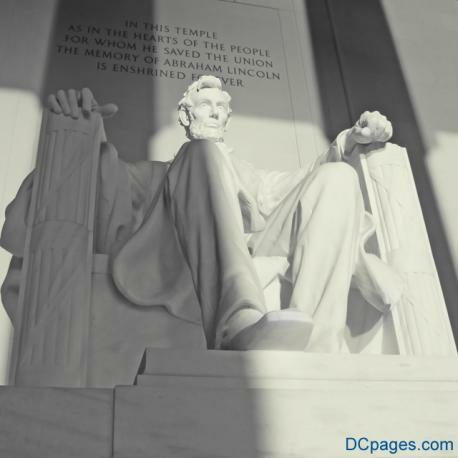 The program will showcase this living legacy by featuring exemplary bearers of oral traditions on the National Mall. Through theater, poetry, storytelling, radio, and humor, the Giving Voice program will celebrate the community roots of African American oral expression.